I attended the 66thInternational Air Conditioning, Heating, Refrigeration Exposition in New York City (January 21-23, 2014). 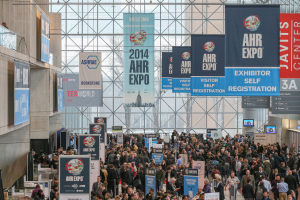 For those not familiar with this trade show, it is the largest HVACR show in the United States, endorsed by 33 leading HVACR industry associations and co-sponsored by ASHRAE and AHRI. This year’s attendance was once again very strong, with more than 61,000 people attending and more than 1,800 exhibitor booths. This entry was posted in Uncategorized on February 10, 2014 by setpointsystems.